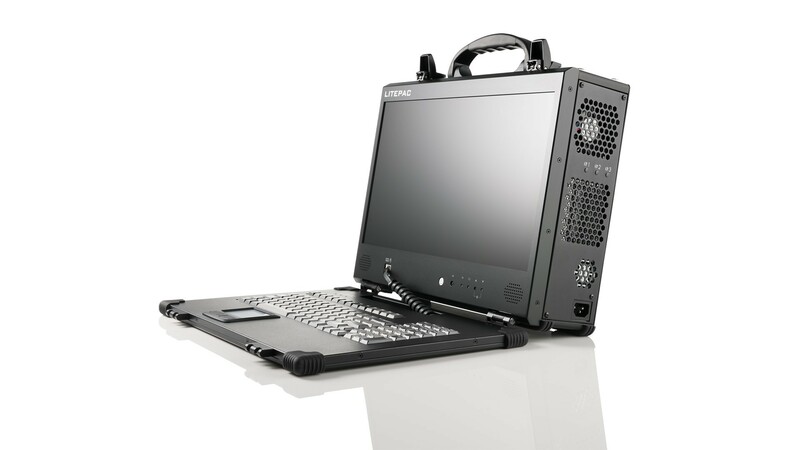 The LitePAC product is a robust portable computer built using all aluminum sheet metal to provide tough, go-anywhere unit suitable for tough environments and mobile applications. With the slim, light weight, and 2-expansion slots design, the LitePAC can fit inside the airplane compartment and be freely configured with other uniquely designed add-on cards for various applications. Optional touch screen allows LitePAC to operate without keyboard & makes the system smaller & lighter. To protect from the environment, the LCD screen of the LitePAC is guarded with a specially treated anti-glare tempered glass. Every unit comes equipped with cooling fans and easy access to its expansion slots for immediate system upgrade or maintenance. With its functional design and rugged construction, the LitePAC is the most economic, durable and versatile portable platform for your applications. The LitePAC is ACME's lightest and slimmest portable computer. The entire system weighs approximately 16.5 pounds. It has a depth of only 5.3". The LitePAC has a size and weight that mirror a laptop, without the limitations that come with a laptop. Despite its size, the LitePAC still offers high performance. It supports the latest Intel® Core™ i7 CPUs. Its 2 full-length expansion slots can be freely configured with add-on cards for various applications. In addition, it comes with a 17.3" 16:9 LED backlite LCD at full HD resolution of 1920x1080.